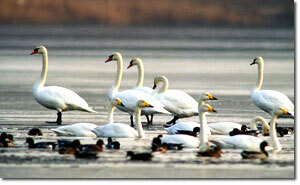 Importance: A home to rare species of birds and reptiles. A unique water Lagoon comprising marine, brackish and fresh water eco systems with an estuarine character, Chilika is the largest lagoon along the east coast of India. A paradise for the migratory birds and thus for the bird watchers, it is one of the hotspot of biodiversity in the country, and some rare, vulnerable and endangered species are found here. <br />The lagoon itself can be broadly divided into four natural sectors based on salinity and depth. There are many islands present on the lagoon. While some have habitation and the others do not. 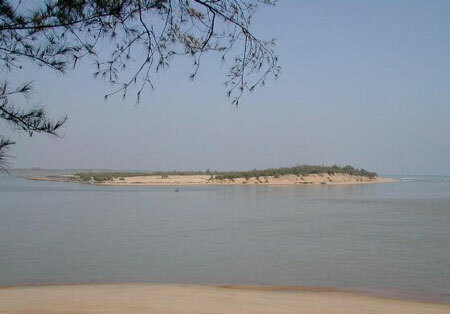 The mouth connecting the channel to the sea drive in the salt water during the dry months and with the onset of the rains, the 52 river and rivulets falling into the Chilika are in spate, causing fresh water currents which gradually push the sea water out.<br />Mentions of the Chilika Lake are present in ancient Indian epics. The legend provides interesting stories about the formation of the Lake. A pirate king named Rakta Bahu decided to loot Puri with a huge fleet of ships. He anchored out of sight to avoid detection, but the sea washed up refuse from the ships to shore and warned the townspeople, who fled with all their possessions. Rakta Bahu thus found a deserted city and furious with rage he asked his army to attack the Sea. The sea entered the seabed in pursuit and then surged back, drowning the army and forming what is now known as the Chilika Lagoon. <br />Chilika must have been a major harbour for maritime trade. Proof of which is found on some rocks which are marked by a band of white which can only be formed by remains of exclusively marine coral. Thus the receding of the sea has given the shape of a beautiful Lagoon, which is not only a tourist spot but also a medium of income for many. <br />A large number of Flora and Fauna is found on the Chilika Lake apart from the wonderful migratory birds those come here. Cruises on the Lake are available with motor boats and other boats which are open for the visitors throughout the day. During these cruises Dolphins can be spotted in the water along with many other aquatic animals. This ecological wonder is the home to very rare species as well and is also catching the eyes of tourist influx due to its varied natural wealth. Around 85 kms from Bhubaneshwar and more than 150 kms away from Puri is the biggest water Lagoon on the eastern coast of India.